Not being an eastsider by birth, there are still a lot of unknown areas of the east of Cleveland that I’ve not yet visited. Located on Larchmere Boulevard, you’ll find the cozy and almost idyllic Felice Urban Cafe. It’s easy to understand why it has such a relaxed vibe, as the restaurant is actually an old home with a fabulous outdoor patio area in the back. Perhaps my favorite part about the patio is the small barn that includes a bar area. It’s possibly one of the cutest patios I’ve seen in Cleveland. My friends and I started at the outdoor bar, sampling happy hour drinks and food specials. I had the pink lemonade cocktail ($6.50), which tasted exactly like a sweet tart. Yum! I also sampled the fish taco ($5), which had fresh avocado, house bbq and slaw. The nice thing about Felice is their extensive happy hour food options that run between $4 and $5. You could easily pair them to create a very affordable dinner. Options include pasta, fried calamari, sauteed mussels, and more! After taking full advantage of the happy hour, we headed to our seats on the larger patio. It was a little cooler out, so they had the heat lamps going (loved it!). While no one wants to experience a problem while dining out, I must say that the staff at Felice handle any that come their way with pure class. A film crew happened to be on site during our visit, causing an extremely long wait time of over an hour for our food, which was less than ideal. The food itself was good – I had the pappardelle pasta with goat cheese on top ($15) which was really tasty. I had a small issue with my meal and they graciously paid for my meal and then offered our entire table free dessert. They handled the situation exactly as any good restaurant would! Plus the free dessert was divine! I would recommend Felice for their happy hour specials and amazing patio, but I knock them down a few points for their slow service. I definitely plan on stopping back in to give this restaurant another shot! Felice Urban Cafe: 12502 Larchmere Blvd, Cleveland; Happy Hour Tuesday – Friday, 5 p.m. to 6:30 p.m.; Reverse happy hour is served Friday and Saturday from 10 p.m. – 12 a.m. 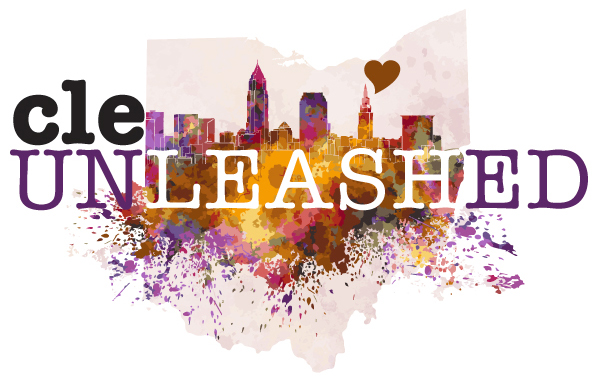 Welcome to CLE Unleashed. Here you'll find posts on Cleveland, awesome travel spots and more!